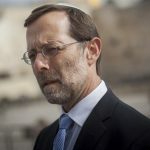 Currently viewing the tag: "Rehavaam Zeevi"
The 2019 Israeli Election & Some Memories. Vote Right! NATO and Al Qeada fighting side by side?